Private cape on two wooded acres in the desirable Mansfield View area. Close to all of Stowe's famed outdoor activities: skiing, snowboarding, ice skating, hiking, biking, fishing, list goes on and on! Also close to many good restaurants, antique shops, and art galleries. The house features a full kitchen and open floor plan (great for entertaining). We also have a spacious deck for sunbathing (in the summer) and hot tub for relaxing after a day on the slopes. The woodstove is centrally located and keeps the whole house toasty on a chilly night. Master bedroom has an extremely comfortable queen bed. Second bedroom (the 'bunk room') has a twin-over-twin and a twin-over-full, sleeps 5 comfortably and is perfect for a bunch of kids. Two more can sleep on the pullout queen bed downstairs. Please call for faster response, I only check email in the evening. Thanks for looking! All except bath towels are provided. 'Hot water on demand' means no waiting for a hot shower! Cozy, warm, relaxing, and pet friendly. The property was very nice, cozy, and just what we were looking for for our annual family ski trip. 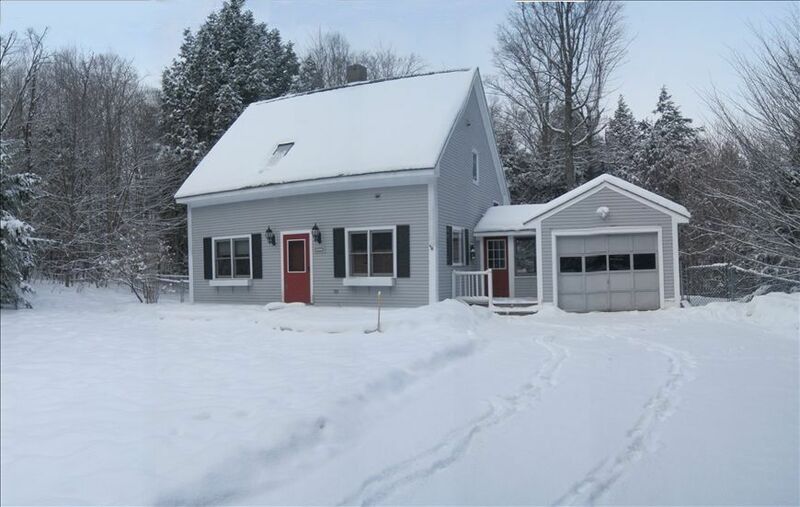 I would highly recommend this home as it was close to the mountain and all the bars and restaurants in Stowe. Love it! We thoroughly enjoyed our stay in this house. The owners answered all questions promptly. The dogs and mommy and daddy appreciated the fenced in back yard. This will be where we stay in future winter visits to Stowe. to providing accommodations in the future! This is a great place to spend a weekend. Away from the hustle and bustle, so quiet and peaceful. The mountain cottage had everything to make us feel at home. Fabulous location, close to Stowe and everything fun to do in Vermont. We will definitely be back. Awesome house in a beautiful setting! Loved our stay at this house for a long weekend getaway in Stowe! The house was perfect for 4 people and 3 pups. It was clean and the house is located in a nice quiet location. The yard was a bonus, as it was huge and fenced in, which the four-leggeds definitely appreciated! Mark and Debbie we're quick to respond to any needs we had! We definitely plan on staying here again! Thank you so much, love to hear that everything met your expectations! We look forward to hearing from you again! This cozy house is perfect for family getaways or a couples weekend. The fenced in back yard was great for the pup. The house was very well kept and clean. Kitchen had everything we needed to prepare meals. I would make one suggestion for guests... do not sit down on the couch if you want to get anything accomplished. You sink right in and don't want to move... except maybe to enjoy the hot tub! Thank you so much, so glad you enjoyed your stay! Would love to have you back as guests anytime! The home was clean, had all the necessary bath and kitchen accessories, and the homeowners answered all of our questions. Very nice home to rent.